‘Prepare your legs’ chuckled Juampi, a Patagonian gaucho, new friend and in that moment a knife-wielding, melon-eating comic who mused over the long hours in the saddle ahead – not what I was expecting when I acquiesced to cross the Andes with the gauchos, but then nothing much was as I had expected. Travellers to Patagonia are warned to prepare themselves for ‘rain, wind and snow in a single day’ – Patagonia’s harsh and unpredictable climate can change in a second and is not best known for its hospitable welcome.Yet here I was, lazing in sunshine, with puffs of gorse resembling giant toadstools glimmered iridescent green and yellow across the landscape, eating sweet melon passed to me by a jovial gaucho. In this bizarre moment I mused over the history of these rebel kings of the pampas, which mirroring the climate is at once colourful, tumultuous and unpredictable. 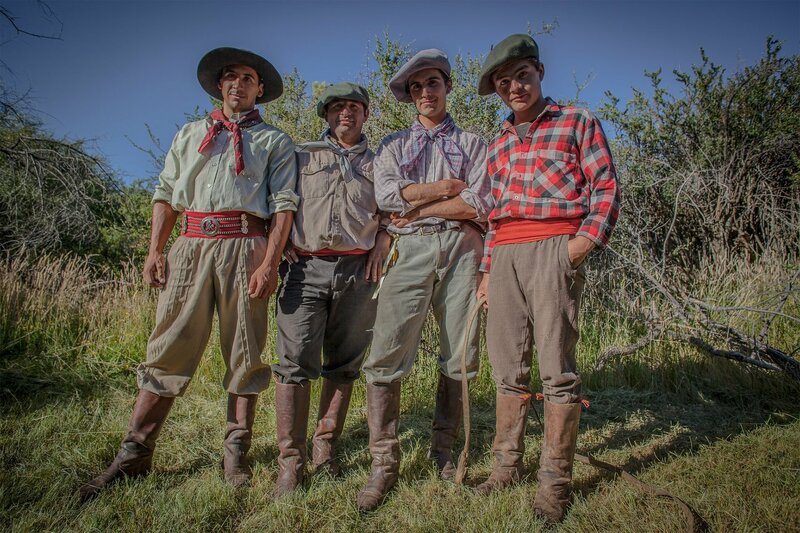 Although the true origin of the gaucho is highly debated it is generally agreed that they were born the illegitimate children of the indigenous Indians and the 18th century Spanish conquistadors; ostracized by society they lived a nomadic existence forced to roam the vast pampas of the Río de la Plata and Rio Grande do Sol regions of Argentina Uruguay and Brazil – etymologists suggest the term ‘gaucho’ may in fact derive from the Quechua ‘huachu’ meaning orphan or vagabond. 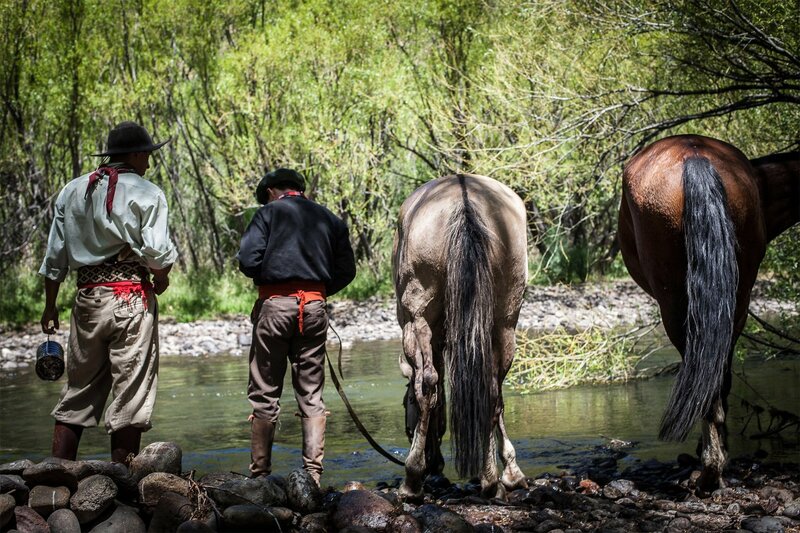 The golden years of the gauchos reflected those of the South American beef boom – paramount in the success of Argentina’s glory days the gauchos transported cattle thousands of lonely miles across the Americas. 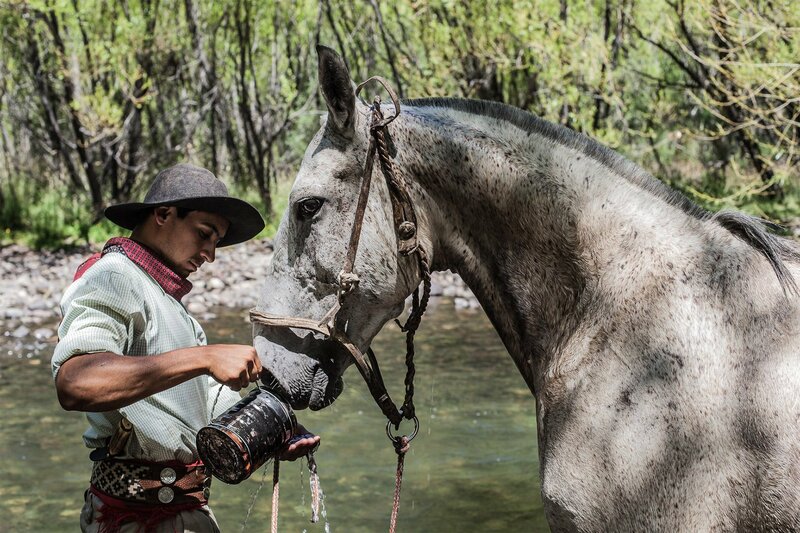 Long, solitary rides and a nomadic existence helped define the character of these famously reticent men.In choosing to travel with the Patagonian gauchos I chose the most ruggedly illusive of these folk-heroes – yet like the landscape itself they proved to be wonderfully surprising and welcoming.